If you are looking for an immaculate move in ready home, then check this one out! Pride of ownership shines in this 4 bedroom, 1 1/2 bath 2 car garage cape. Spacious mud room or three season room leads you into the well appointed kitchen with stainless steel appliances and upgraded cabinets. Note how the hardwood floors gleam throughout the first floor, and the fireplace is spotless, never been used! The main bath has many recent updates including new bath fitter tub and walls, flooring, fixtures and granite counter too. Two bedrooms with hardwood floors round out the first floor as well. Upstairs are two more bedrooms and a convenient half bath. Out in the back is a private 2 tier deck surrounded by landscaping and new fence, perfect for pets and with new outside lighting included! The architectural roof is 9 years young, home is vinyl sided with thermal windows, and features economical and clean natural gas heat with separate gas hot water heater. 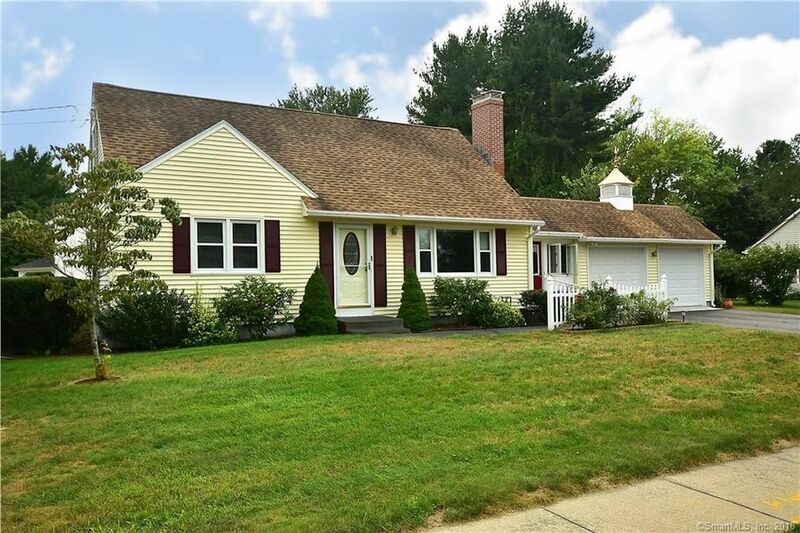 Very convenient location, just off route 5, and easy on and off for I91. A nice location for taking a stroll down the historic and beautiful Enfield Street! Subject to sellers securing home of choice.